Narrelle M Harris: Happy Kwanzaa, Everybody! On this week’s show Narrelle recommended some book-buying for Christmas (unlike the book-burning she recommended last year. Lordy, did that get out of hand). Here’s your cut-out-and-keep guide of what she said. Dracula by Bram Stoker, Let the Right One In by John Lindqvist (or – I humbly submit – The Opposite of Life by Narrelle M Harris). Snake Agent by Liz Williams. Or anything at all by Neil Gaiman (perhaps American Gods ). Redback or Blood Guilt by Lindy Cameron (Blood Guilt has lesbian protagonists too, so bonus). The Umbrella Academy by Gerard Way. Or find a collection of The Sandman stories by Neil Gaiman. Or something cool by Alan Moore (Promethea , The League of Extraordinary Gentlemen , From Hell ). Mary Borsellino’s The Wolf House e-books! Vampires! Teenagers! Queer sensibilities! Did I mention vampires? Justine Larbalestier is also cool, with sharp ideas, great writing and excellent characters. Madame Brussels: This Moral Pandemonium (by LB Robinson) or one of the other Arcade Publications books on Melbourne’s history. Visit Twelfth Planet Press and try them out; visit an independent bookseller and support them – places like Readers’ Feast, Readings, Hares and Hyenas and Of Science and Swords – and you can’t go wrong with the Outland Institute’s favourite Look Who’s Morphing by Tom Cho, though I don’t know what category to put that under. And if you know any writers, perhaps the first season of Castle ! But probably not Misery unless you really hate the writer in question. 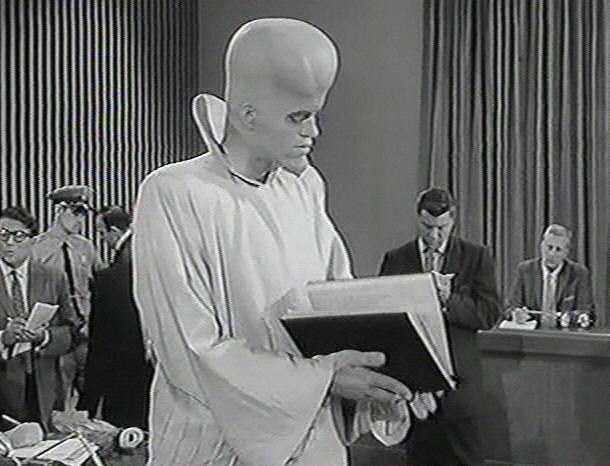 And To Serve Man is a cookbook! Oh, whoops – spoiler.